Choose 100 or 200 blossoms. 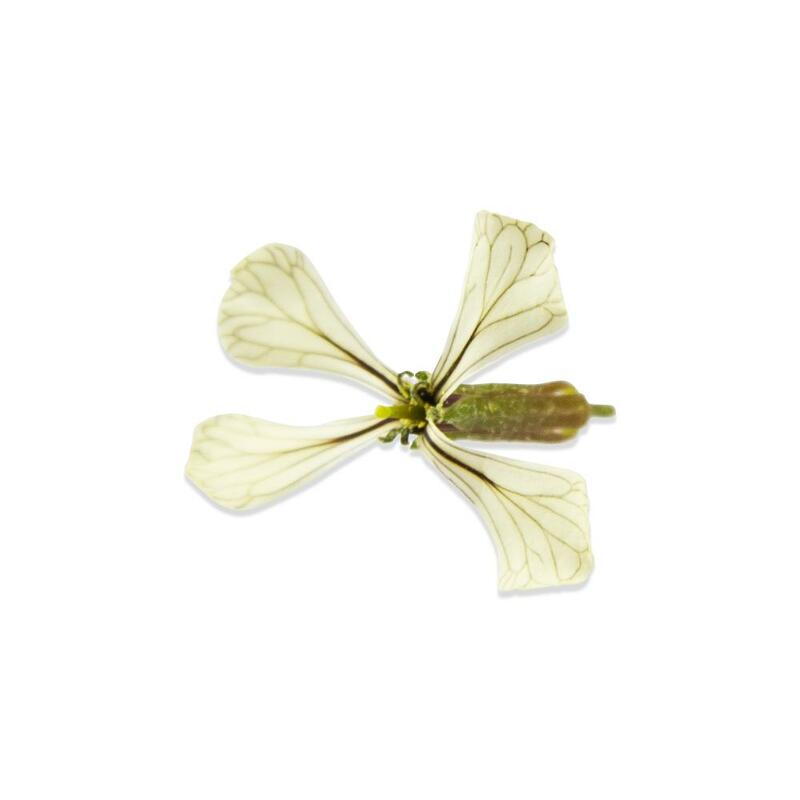 Delicate, tiny, and elegant, arugula blossoms are a beautiful cream color with green stems and green ribs running through the blossom. 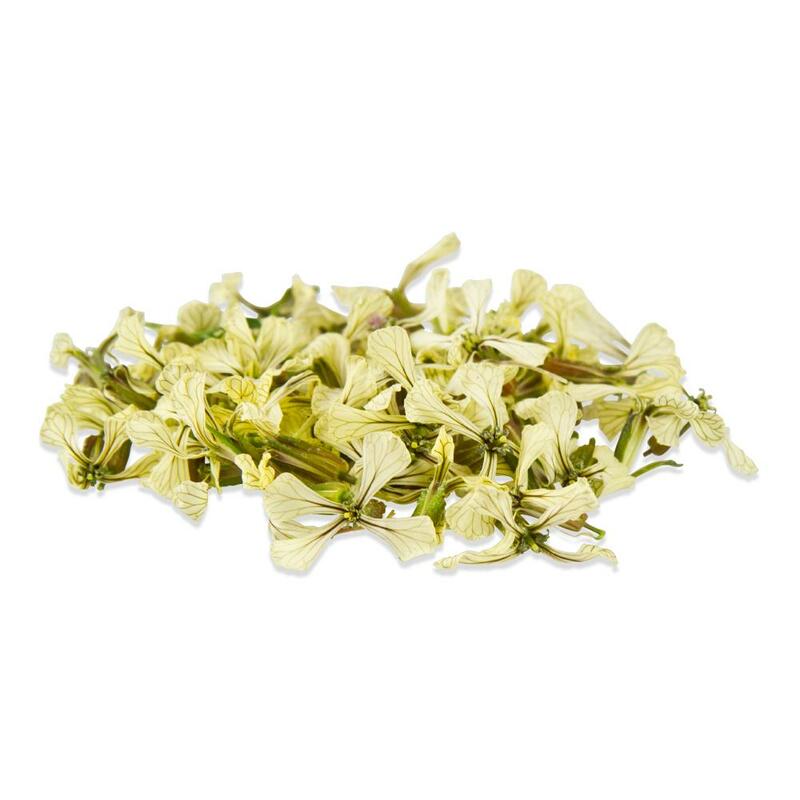 They have a spicy arugula flavor that works well in salads and on savory dishes. 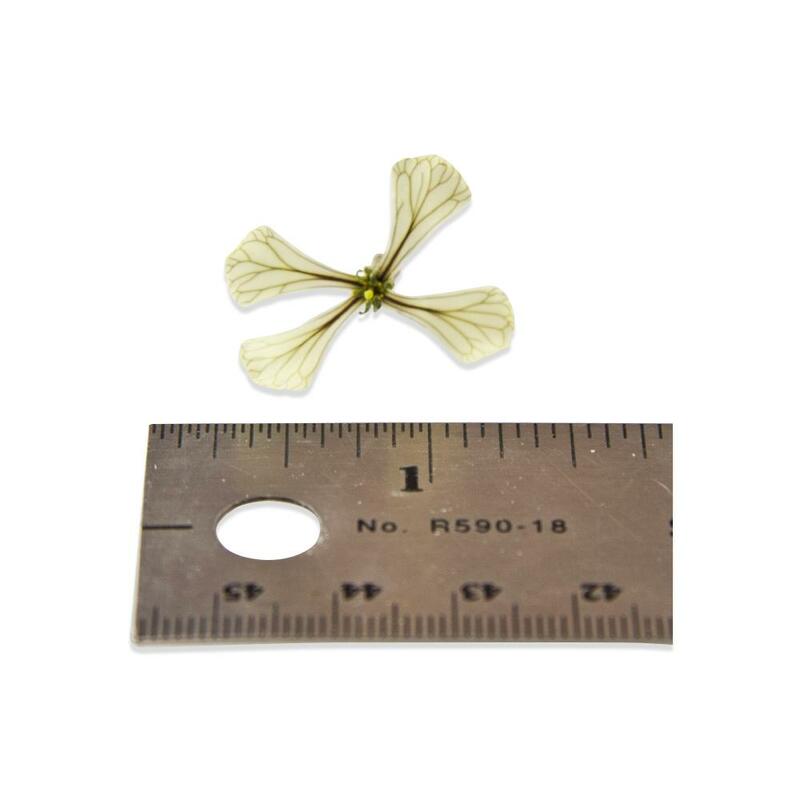 Arugula blossoms tend to average about ½” by 1” in size. 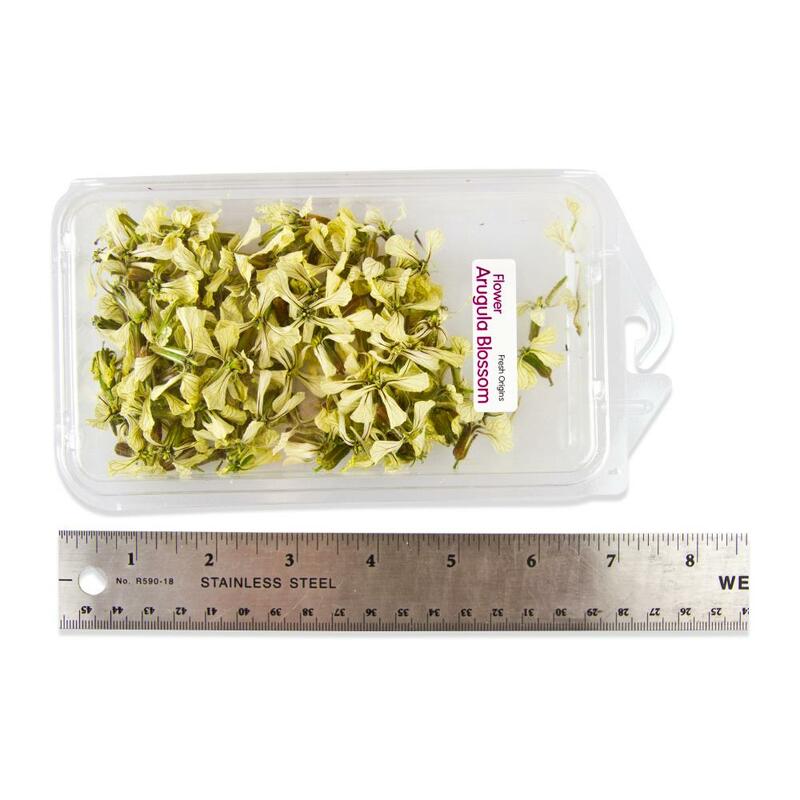 Store arugula blossoms in their plastic clamshells in your refrigerator. Arugula blossoms can be used to garnish for savory dishes, as a decoration for plates or tossed in salads as an ingredient.